This includes endurance trials and endurance failure, depression firing and the processing of data analysis and purpose-configured test reports suitable for direct submission to the relevant sentencing authority. And for practicality, there are on site workshop facilities, backed up by heavy engineering capacity. 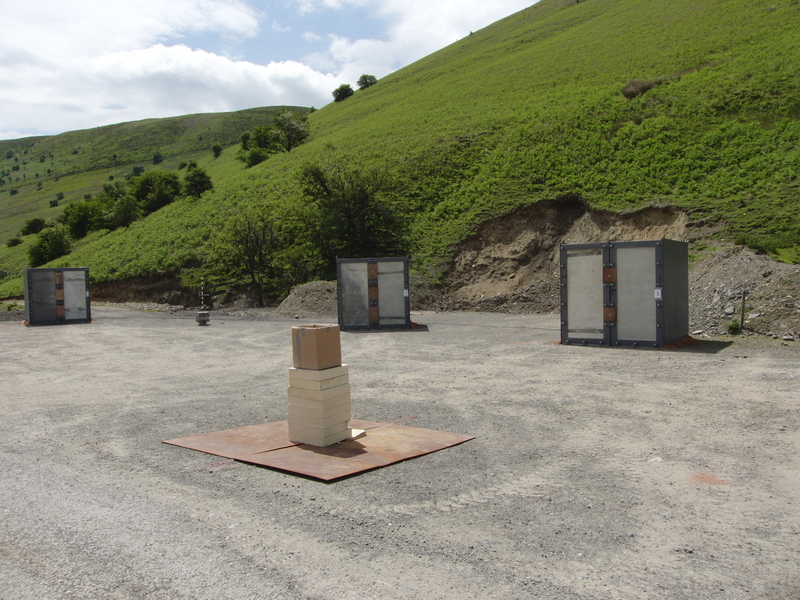 For blast trials, ballistic range, weapons systems and materials testing, the facilities include a 2.5km range that can test up to 40mm projectiles and aerial counter-measures, while a 20m indoor range can test up to 20mm cannon. A universal receiver can accept all barrels up to and including 30mm cannon. There is highly sensitive temperature conditioning, velocity measurement, video and a fully licensed facility to permit manufacturing, storage, breakdown and assembly of munitions. Insensitive munitions trials can be carried out across a full range of tests as described in STANAG 4439 and AOP39 necessary in the IM classification of Ordnance. For tests in support of UK MoD contracts, the STANAGs are carried out in accordance with Def Stan 00-35 where appropriate. Tests include bullet attack, fragment impact, slow heating, ‘fast cook off’ fuel fire, safety drops from 12m or greater and sympathetic reaction. Large scale tests can also be conducted for the qualification of an explosive composition for military use, including fragment and tube tests.The fragment attack facility is designed for a wide range of tests to be conducted in robust conditions with gap tests, tube tests and fragment impacts, all measured within a controlled environment. UN series testing as described in the UN Manual of Tests (Orange Book) is also undertaken at Radnor for the purposes of providing adequate protection against the risks to life and property inherent in the transportation of hazardous materials in commerce.